Motorized shades allow you to move your window treatments to exactly the desired position and control them wirelessly with applications on your smartphone or remote control. With motorized shades, you can schedule when you lower and raise your window coverings according to your schedule and depending on the environment. The schedule may vary from day-to-day or from hour-to-hour. Since it’s controlled via your smartphone, you can also open and closes your shades while you are away from home, giving the illusion you’re at home, keeping your house safer. Motorized blinds combines ideal lighting with an added level of security for your home. Regardless of the time of day, you can get the perfect lighting preference in your home, with a touch of a button. You can also schedule the shades to go up or down at any time of day, which gives you an extra layer of security when you need it. Now you can control the window treatment to reduce the exposure from the outside limiting the view inside your home or making it look as if your house is not empty by moving the angle of the automatic shade whether you’re home or not. Unlike blinds and shades that have cords and can be a hazard to children’s safety, the motorized shades and blinds do not have any cords to pull, so it is an excellent option for families with small children and/or with pets who could get tangled in the cords. Motorized windows shades offer a wide variety of benefits for homeowners from easily accessing the control of the shade to providing a sense of security when away from home. This latest technology in window treatment provides the homeowner with the most comfort and convenience for your home! Once considered a lavish option only for luxury homes, motorized window shades are a relatively affordable solution to maximize the comfort and convenience of your home. With the available options, ranging from the remote control to high-tech sensors, you can customize the shades to best fit your home and your specific lifestyle needs. All shade functions can be easily accessed with any of the following mechanisms: remote control, a wall switch, a smartphone application or a home automation system. Even if you experience an power outage, you can than take advantage of the battery powered control. If you are concerned about the amount of controls required with each window shade, the controls can be programmed to operate from one device. You can control multiple blinds or shades with a single remote control. The multiple blind or shade function is available in several options and is particularly suitable for down-and-down styles, pleated shades, honeycomb shades and blind, and can be added to most products. You can even improve the attractiveness of your home by placing all shades at the same height as well as using the different style options available. Since you can automatically control when the blinds or shades will be opened or closed, you may feel a sense of security in that your house appears inhabited whether the family is home or not. 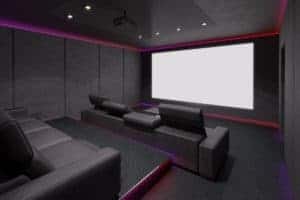 If you want total darkness in a multimedia room or a bedroom, for example, you can achieve the desired ambiance within minutes by controlling the shades with minimal effort and without any noise. Motorization eliminates the need to pull the cables, making them safer near children and pets. For over 20 years, the blind and shades industry has been under scrutiny and criticized because cables pose a risk of strangulation. Motorized products put all cables out of the reach of children and increase the appeal of wireless devices. The wireless device provides a degree of safety and convenience for seniors and people with physical disabilities, because they can easily adjust heavy and awkward window coverings at the touch of a button. With the high cost of energy and need to reserve our resources, motorization makes window coverings an ideal solution for energy efficiency. You can easily control the amount of solar heat that enters your home, by filter and reduce the amount of light, and adding a layer of insulation to any room. The motorization facilitates the opening and closing of the window coverings to maximize efficiency when synchronizing the shades or blind positions. If the weather suddenly changes, you can quickly activate the window treatments with the touch of a button to allow entry of more light or to block the sunlight and the heat emitted from the sun. To prevent furniture from being damaged by sun exposure, you can even program shades to block sunlight from entering during those key times of the day. Does your home have cathedral ceilings which minimizes the access to or even makes it almost impossible to reach windows? The solution is a motorized shades or blinds with an integrated engine. Now, instead of being inaccessible, the window treatment on these windows open up and down with the touch of a button, allowing you to control the levels of natural light, even in the highest windows. Do you have large windows that would make moving the shades or blinds difficult? During those occasions when you’re comfortability sitting on your couch and the days sunlight starts shining on your TV you no longer have to get up to closes the shades. The good news is that having motorized window shades makes it easier to open and close any window treatment. Whether operated by remote control or by sensors, your motorized window treatments will simplifying your life! The sun offers a beautiful natural light, but it can also be a nuisance because it heating the rooms during the summer, discoloring the furniture and floors. But with automatic window shades, you can precisely control the amount of sunlight that passes through them, protecting your decor and optimum comfort for you and your family. Whether realigning the angle of your horizontal blinds or reducing your shades, having automation in window treatments allows you to give your home an elegant appearance. When you’re on vacation, it’s not always convenient to have someone house sit. A known deterrent for thieves is know the house is occupied. You can always put lamps on timers, but the question remains: does the blind remain open or closed? Auto window shades allow you to do both! With light sensors or timers installed, your high-tech window blinds can be opened and closed without anyone returning home. Regardless of the distance, it’s possible to give the appearance that someone is home. Having lots windows in your home is an excellent way of taking advantage of natural light, especially if you can control the amount of natural light entering your house. Having the blinds or shades easily adjustable allows you control when you want privacy by lowering the window treatments without taking much time. Motorized blind and shades is a practical and convenient way to control the amount of sunlight. PrevPreviousWhy You Should Install a Smart Home Automation System?